Three PowerPoint Mistakes that Bore Your Audience to Tears - ProEdge Skills, Inc. 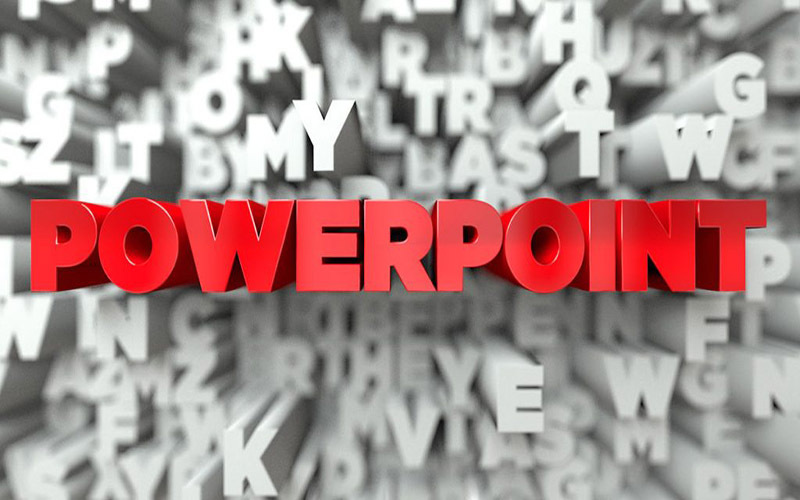 The belief that PowerPoint equals a presentation is a very common misconception. Visual aids are aids. They are not even necessary, usually. A presentation is the information, stories, statistics, quotes, and opinions that the presenter shares. Visual aids, if used, enhance the presenter’s message, not the other way around. Anytime visual aids become the presentation and the presenter becomes the aid, you will probably be boring your audience to tears. Below are three specific examples of how this happens. The PowerPoint is nothing but the presenter’s notes, which the presenter proceeds to read from the screen to the audience. Imagine you are sitting in an audience waiting for a presentation to begin. The presentation is scheduled for one hour. The presenter walks to the front of the room, clicks their clicker, and a large blue screen fills with a yellow, bulleted, run-on sentence that flies in from the left. For me, this is when dread sets in. Glaze is starting to form over my eyes. Fog is rolling in on my brain. The battle to stay alert and appear interested has begun and it intensifies with every bullet that appears. When PowerPoint says as much or more than the presenter does, one of them is not necessary. Reading from wordy slides is not only boring, but also insulting to an intelligent audience. Many presentations I have suffered through would be more economical, less stressful, and better received as memos or special reports that the audience could read individually on their own time. Unless the audience is taking notes, as in a training situation, wordy PowerPoint undermines a presentation. The point of a visual aid is to make the presentation more interesting not boring. If your audience is thinking, “This is the 762nd time I’ve seen that piece of clipart.”, your PowerPoint is undermining your presentation. Similarly, if your audience recognizes your PowerPoint background as one of the popular software templates, your visual aids are undermining your presentation. Graphics are the solution to the wordy visual aid problem discussed previously. However, freshness now becomes the issue. Ideally, all visual aids would consist of simple, powerful, interesting graphics. In reality, time and money may be constraints. Let the nature of the presentation dictate how far you will go to secure fresh looking graphics. For high profile or high opportunity presentations, more time, money, and effort should be placed on creating visual aid graphics. My recommendation would be to have a graphic artist assist if talent is not available internally. Examples of high profile, high opportunity presentations include the unveiling of a new product or service and sales presentations. If your PowerPoint falls into either of the previous two categories, Wordy or Tired Graphics, present without them unless the audience needs to take notes. Because most presenters use wordy or tired visual aids, audiences are conditioned to become bored at the first sight of a bullet. A bulleted list is like a timepiece on a chain that sways in front of the eyes chanting, “Sleep…sleep…sleep” I have discovered that being contrarian and forgoing visual aids can actually make a presentation a huge success. I was presenting to 120 salespeople at an annual conference. I was the only non-industry, soft-topic presenter on the multi-day program. I arrived early and attended the presentation before mine. There were two presenters standing on an elevated stage behind podiums with a huge screen centered between them. The room was darkened as the PowerPoint slides clicked by. I surveyed the salespeople. No one was jumping out of his or her seat with excitement. My host asked if I had any visual aids. I had PowerPoint slides but claimed that I had none and that I would work from my handout. I asked them to turn all of the lights up and requested a wireless microphone. Just turning the lights on had a huge impact on the audience. I moved around freely and referred to the handout periodically so the salespeople would feel anchored and take notes. When the conference was finished, I was the highest rated presenter. They invited me to come back immediately for the next year. PowerPoint and visual aids can be powerful. They can be the icing on your cake or the rain on your parade. To ensure PowerPoint is not undermining your presentation, use words sparingly and find fresh graphics. Even have the courage to present without, if your visual aids are not truly aiding you.